While there are no shortage of available apartments and rooms for rent in the center of Prague, few come up to the mark set by the Hunger Wall. This carefully reconstructed house boasts amenities that most old houses in the center cannot offer, such as an elevator, card access security doors, a pleasant cafe and dining area, CCTV security, air conditioning, and a reception. 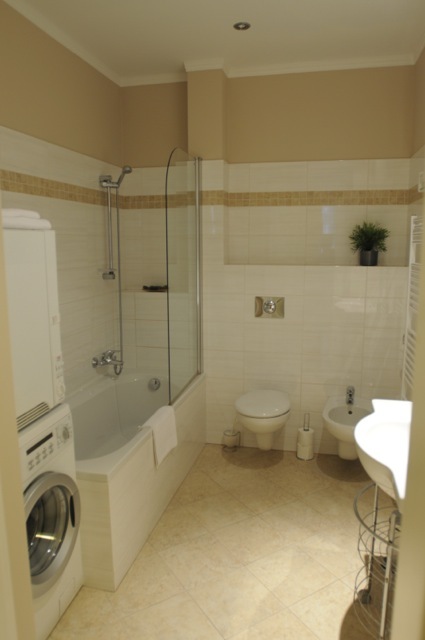 Each room is spacious, and tastefully decorated, with a fully equipped kitchen, and a washer and dryer in each unit. The kitchens have all the utensils necessary for guest to prepare their own meals. Just in case you wish to let someone else do the cooking, after a long day exploring the city, the cafe on the ground floor is good cause to think twice about where you might wish to stay in Prague. 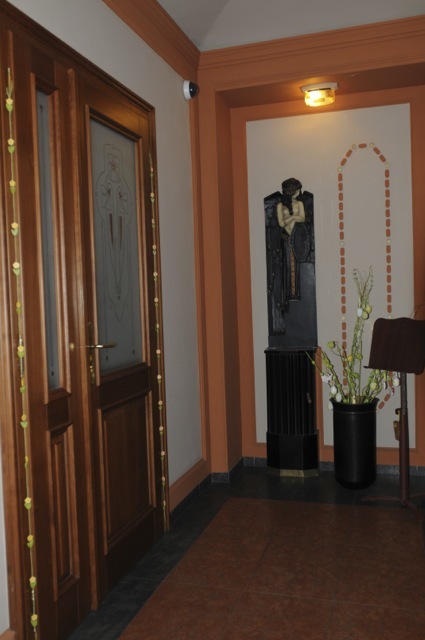 There is nothing as welcome after good night's sleep, as a warm and hospitable welcome in a cozy, smoke free cafe. The Hunger Wall Cafe will not disappoint. It is perfect for breakfast, and open throughout the day. While the reception is not staffed on a 24 hour basis, as with hotels, it is always possible to contact them in case of an emergency. Each room is more like a suite, with bedrooms separate from the living area. This is ideal if you wish to bring guests to your room, or if you simply need some space to sit comfortably and read, while others sleep. We are happy to recommend the Hunger Wall, as we know that it will be a welcome retreat from the busy streets of Prague. It is ideal for longer stays, business trips, or travelers who prefer high standards, but a certain degree of self sufficiency. There is no compromise by management or staff. 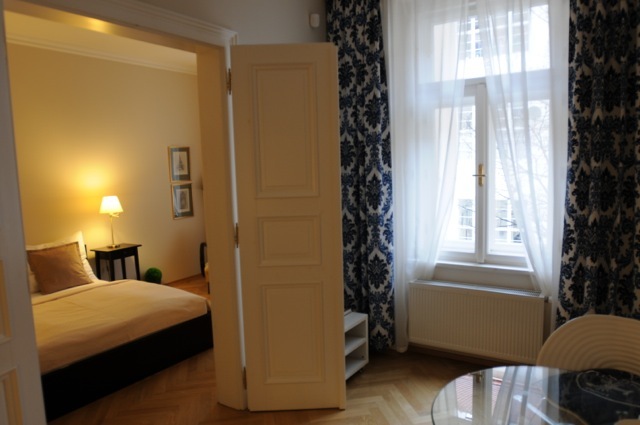 It may very well be the highlight of your stay in Prague, simply to have such a pleasant place to retire to at the end of the day.